Happy Spring Break! We just made it to Spring Break 2017! Woot woot! During Spring Break every year I like to relax, reflect, and then do a lot more relaxing. Your energy and wellbeing should be the most important thing you invest in every day. Here are some things to reflect on during your Spring Break and hopefully they help you get to the end the school year with a better wellbeing. 1. Do I have a morning schedule where I take 2-5 minutes to relax before the students arrive? 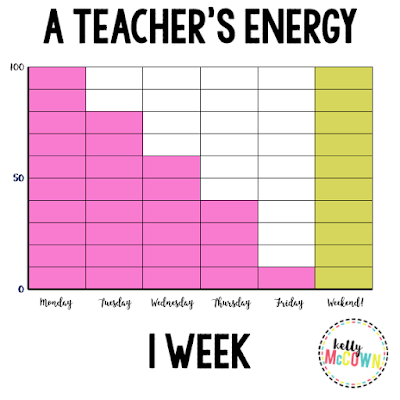 Try arriving at school early (I understand not everyone can do this) and schedule two to five minutes before your students arrive to visualize your day, relax/sit quietly and clear your head (or say a prayer). Make a list of things that help you relax and choose one to focus on during that morning time. 2. Think about how things went FOR YOU (not the students) this past quarter, excellent, good, or okay? Think about and watch for things that start to worry you and take remedial action. Take deep breaths, forgive ourselves and others, and take brain breaks when available. Think about your schedule, did you get enough sleep, social time, and refreshment scheduled in? Think about your teacher talk, were you more positive or negative? Identify people who help you, give you confidence, and people/things that give you energy to teach. There are lots of other resources and instructional aides to help make your day LESS stressful and more rewarding. 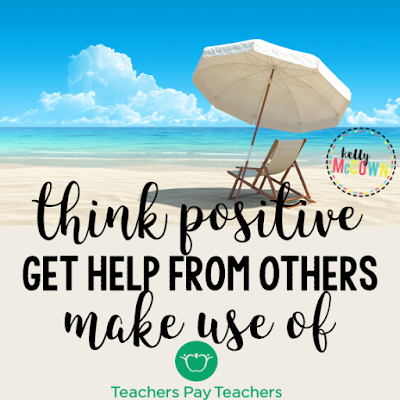 Check out www.teacherspayteachers.com for more resources to help you be the best YOU!